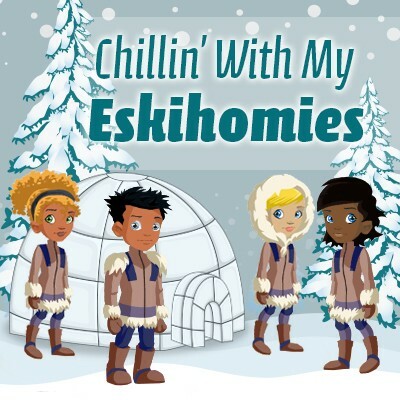 Lightgliders: Chillin' With My Eskihomies! Brrrr! It's a cold winter here at Lightglider Academy! But a little cold won't stop us from going on missions, building up our Treehouses, rescuing Gliddles and hanging out in the Courtyard with our friends! Ecclesiastes 4:9-11 says, "Two are better off than one, for they can help each other succeed. If one person falls, the other can reach out and help. But someone who falls alone is in real trouble. Likewise, two people lying close together can keep each other warm. But how can one be warm alone?" Let's be together in fellowship and keep one another warm in our Eskimo Outfits! Do your Gliddle Challenges this week to get your gear and join us in the Courtyard!